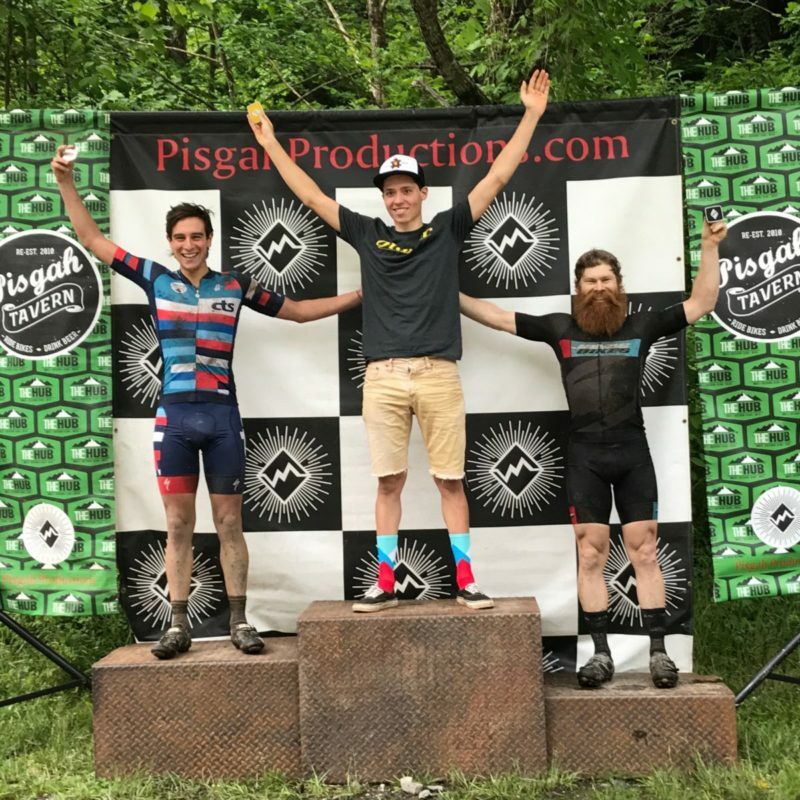 Pisgah Productions put on a stellar weekend of mountain biking in the Pisgah National Forest with the 111k and 55k endurance events. 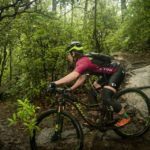 Racers were greeted with flash flood warnings from previous storms and had to worry about more rain lingering in the forecast. 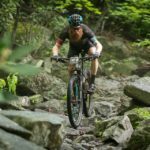 This years course had some slight changes due to trail work on Black Mountain trail (removed from race) and the heavy precipitation leading up to the race. 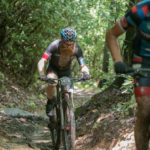 At times there were streams flowing down the trails as racers made their way through the course. 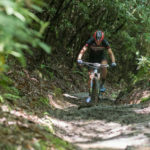 Regardless of the changes, Pisgah always provides some amazing riding with chunky single track and punishing climbs. In the Open Men’s race, Johnson, Baring and Turner quickly formed the lead group. Shortly after aid station one Baring was dropped off the group leaving Johnson and Turner to battle it out for the win. Johnson was able to gap Turner going into Pilot and hold him off to the finish, coming in at 6:29:13. Turner hung on for second place at 6:43:45 and Baring came in third at 7:09:37. 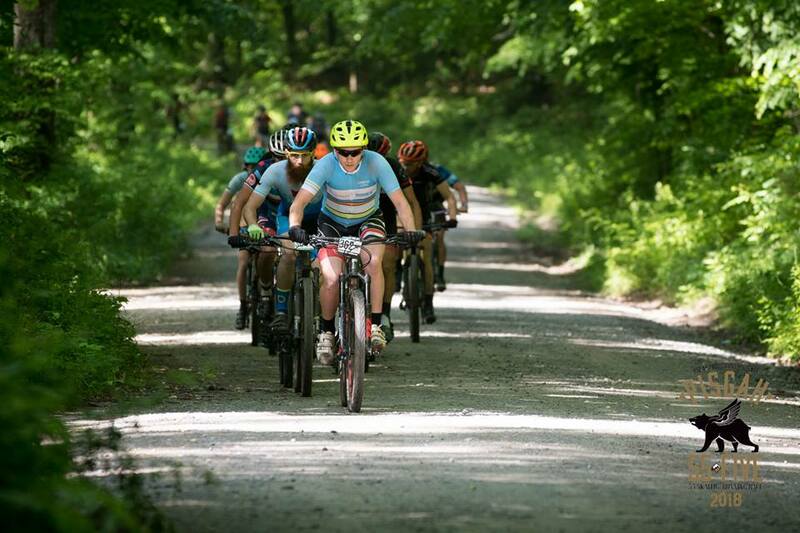 In the Open Women’s race, Toops (Pearl Izumi/Pivot Cycles) was able to form an early lead and hold off the competition to take the win with a time of 9:21:32. About two hours back was Rachel Balson taking second place. Emily Watts took the third spot with a time of 13:22:39. Pisgah Productions 55K Most of the racers from the Pisgah Productions 111k stayed for a second day of racing for the Pisgah Productions 55.5k, but a few fresh racers also joined in on the fun. 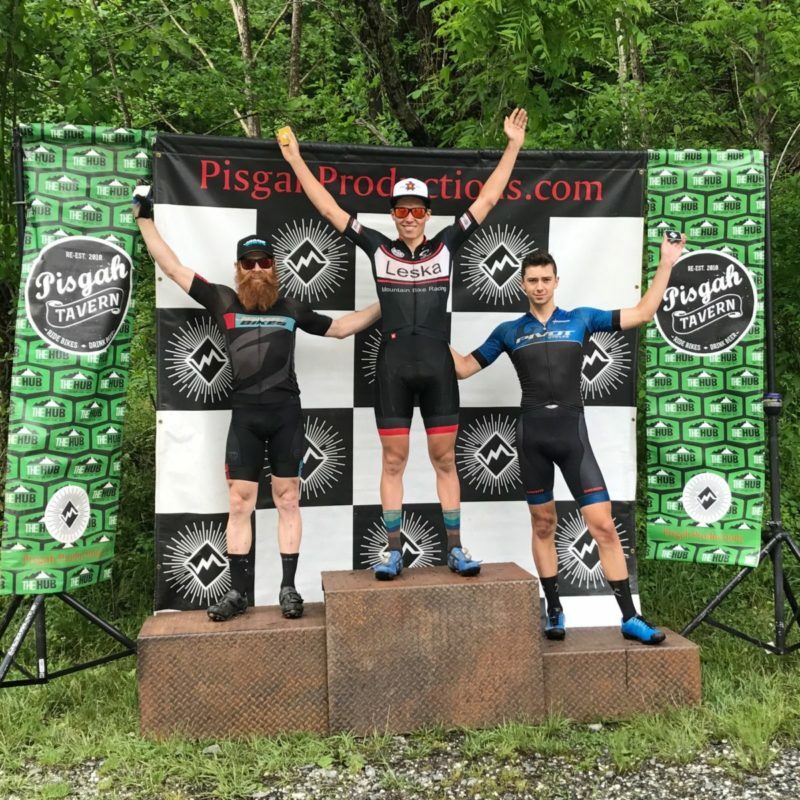 Due to high water, there were some mandatory course changes and the 55k turned into about 50 miles and another long day in the saddle for racers. The weather was clear for the first half of the day but quickly turned into heavy thunderstorms with temps dropping considerably. 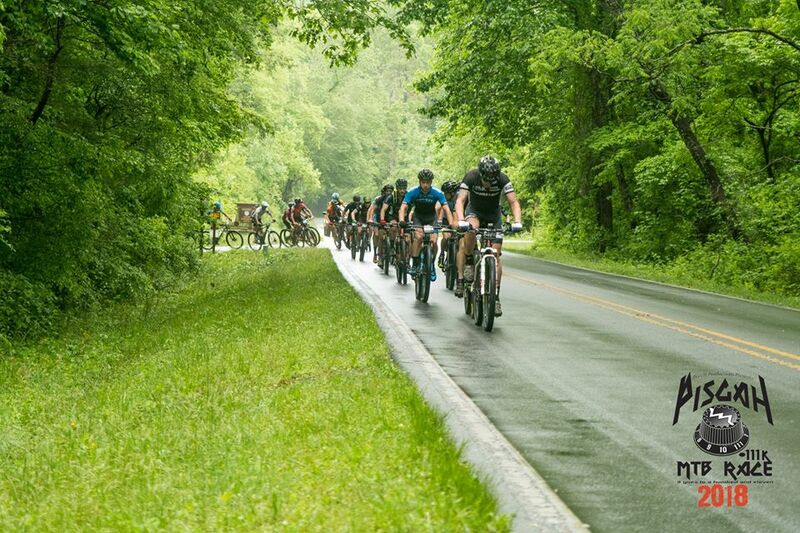 For some riders this meant navigating the tricky, technical Pilot Rock descent in a full downpour! 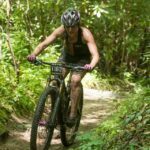 One rider noted that she had to ride in the stream of water flowing down which helped her stay on line and get to the bottom safely. Some riders even resulted to using emergency blankets to stay warm. 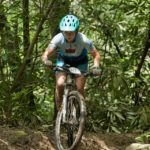 You definitely need to be prepared for anything when racing in the Pisgah National Forest. In the Open Men, the top competitors all raced the previous day, making it a fair playing field. The pace started off fast with Johnson and Baring breaking away early in the race. 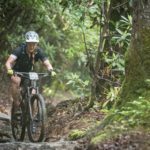 Baring had some unfortunate luck breaking a spoke on Cantrell downhill and Dylan Johnson rode in for the win at 4:45:08. Nick Bragg took second with a time of 4:57:47 and Thomas Turner took third with a time of 5:09:45. 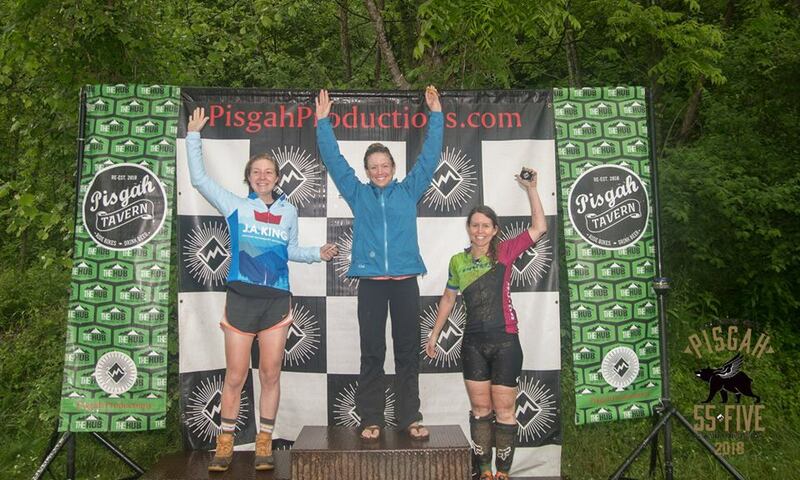 In the Open women’s race, a few fresh racers showed up for the 55K, Jen Nielson and Annie Pharr. Nielson attacked early taking the lead on the first climb. Pharr and Toops spent the day trying to catch Nielson but couldn’t bridge the gap. Nielson took the win in 6:13, finishing before the storm rolled in. Pharr and Toops faced an all out thunder storm on Pilot, changing from racing to survival mode and just happy to finish. Pharr took second place in 7:04 and Toops took third in 7:21. 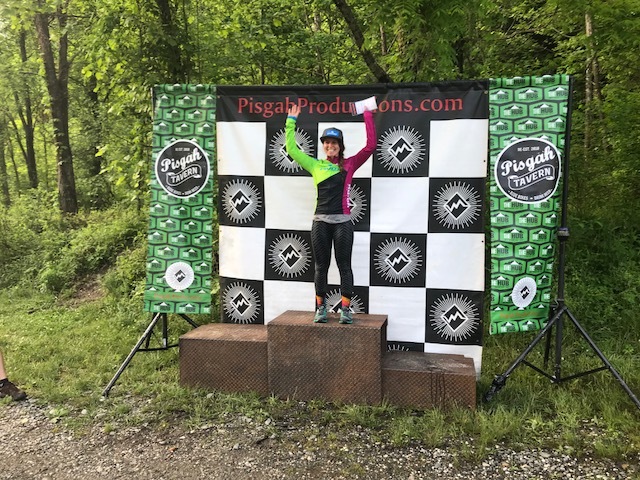 Click here to check out all the other Pisgah Productions events. 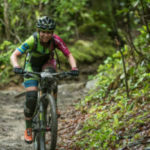 This entry was posted in EST Time Zone, News, Ultra Endurance, XC Racing by Shannon Boffeli. Bookmark the permalink.